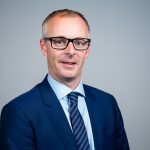 Tom Karalis assumed the role of Vice President & Managing Director of Australia and New Zealand in August 2017 with responsibility for Celgene’s commercial operations in the region. Tom joined Celgene in 2011 as Director, Strategic Marketing, Asia Pacific and in 2013 assumed the role of General Manager, East Asia, a geography comprising of South Korea, Taiwan, Singapore, Hong Kong, Thailand and Malaysia. 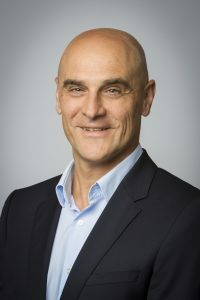 Tom first joined the pharmaceutical industry in Australia with Pharmacia, gaining experience in multiple commercial roles with increasing levels of organizational and portfolio responsibility before moving to Hong Kong as Regional Marketing Director, Asia Pacific and to South Korea as Commercial Director. Further assignments in the Asia Pacific region included General Management roles in Thailand, Vietnam and Philippines before returning to Australia to join Celgene. Darren Hunt has been with Celgene since 2007. Prior to becoming Senior Finance Director, ANZ, Darren oversaw the finance operations of APAC for a period of 4 years. 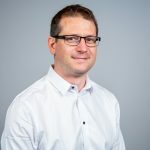 He also spent two years in the US at Celgene Headquarters based in New Jersey which involved working on the integration teams for both Gloucester Pharmaceuticals and Abraxis Bioscience acquisitions. From 2001 to 2007 Darren was the Finance Manager for PlantTech Pty Ltd which operated in the agricultural business. 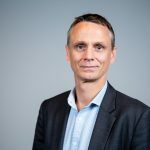 Prior to 2001 Darren worked for Iveco Trucks in numerous finance roles over a period of 12 years, including the last two years as the Financial Controller of Truckline Pty Ltd.
Darren attended Deakin University, where he completed his Bachelor of Business, Accounting in 1994. He also is a member of CPA Australia. Mafalda Lou joined Celgene in January 2011 as Senior Director Human Resources and built our HR function within the Asia Pacific region from inception. Mafalda has over 30 year’s experience in Human Resources Management and leadership. Her career to date has been predominantly in the Healthcare industry, including Clinical Diagnostics, Biotechnology, Medical Devices and Pharmaceutical companies such as Johnson and Johnson, Vision Systems (now known as Leica Sytems), and Dorevitch Pathology. Included in the portfolio of companies Mafalda has served are a mixture of start -up companies through to large multinational companies, where her responsibilities also ranged from Global through to Regional leadership roles. Mafalda also has extensive international experience having worked abroad for a several years in the USA, UK and Singapore. Calvin London joined Celgene in January 2011 as Director, Scientific Affairs, Asia Pacific (APAC). He was promoted to Snr. Director, HCC & GxP Compliance, APAC in 2014. In these roles he was responsible for the design and implementation of the Good Affiliate Practice quality management systems and healthcare compliance systems across APAC, co-development of the RMP platform for APAC and management of different functions regionally. 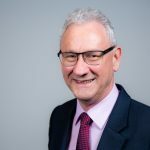 Calvin has over 35 years international experience in the pharmaceutical, biological and biotechnology industry, specializing in the technical development, regulatory, quality and compliance management at an executive level. He has worked with several companies in the design, implementation and auditing of operating systems for quality and compliance to meet the requirements of regulatory agencies in the US, Europe and Australia. He has previously held different Board positions, technical roles of increasing responsibility associated with the development, manufacture and compliance of international products’ including the positions of Chief Operating Officer Argus Biomedical Pty Ltd and Chief Executive Officer for an international biotechnology company. Jacinta has worked in the pharmaceutical industry since 1994, starting her career at Boehringer Ingelheim (4yrs) and Merck Sharp & Dohme (13yrs) prior to joining Celgene March 2010. The majority of her career has been in specialist sales, with a strong focus in the field of Haematology/Oncology. 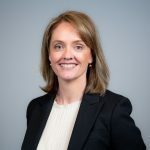 At Celgene she has managed the National Sales Haematology team, held the position of Area Manager NZ and more recently developed experience in marketing in both Australia and New Zealand. 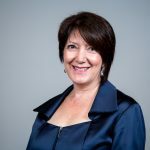 Jacinta attended Monash University where she completed a Bachelor of Science, she has also completed the Advanced Leadership Program with Women Leadership Australia. Alex Simpson joined Celgene in August 2009. Alex joined Celgene in a marketing role for myelodysplastic syndrome (MDS) products where he was responsible for the successful launch of Celgene’s local MDS portfolio. After 2 years Alex took on the marketing of the myeloma franchise allowing him exposure to Celgene’s full range of haematology products. During this time Alex had the opportunity to oversee several haematology market access projects for both Australia and New Zealand. In 2013 he moved into the Australian Immunology and Inflammation Franchise as part of the start-up team. He is currently setting up the cross franchise Strategic Planning function within Australia. Dirk has approximately 10 years’ experience in experimental and clinical Haematology and Oncology. His academic appointments included the Humboldt University and Max Delbrueck Center for Molecular Medicine in Berlin, the Peter MacCallum Cancer Centre in Melbourne and the University of Wuerzburg in Germany. Through his academic experience he acted as investigator on numerous clinical trials from phase I to phase III. Prior to joining Celgene in 2010 he acted as Head of Medical Affairs for GSK Oncology in Australia. For Global Leadership, please visit the Corporate Website Leadership page.